Once we find the birds working over bait fish. We can determine the direction the fish are traveling. You can troll Ballyhoo or lures into the path of the working birds and get the Dolphin to leave the natural bait fish and strike your baits. I like natural single hooked Ballyhoo when we can see the fish feeding on the surface. Also when the fish take up chase, you can work that ballyhoo almost like a live bait. Chuggers placed in front of the Ballyhoo will also get the larger fish to take notice of your baits. Some times it takes a larger, noisier presentation to get that big Bull Dolphins attention. 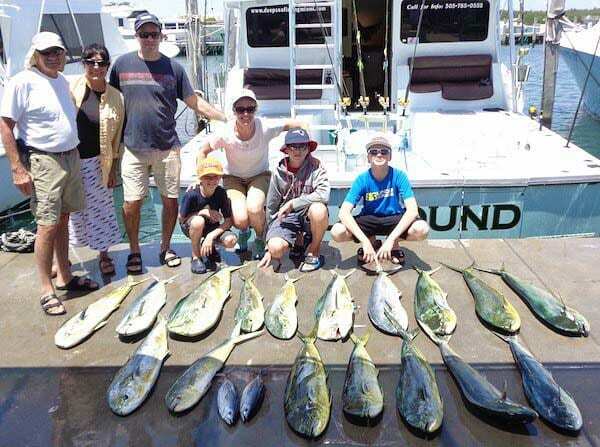 When pitch bait fishing we get up in the boats tuna tower and look for the individual feeding Mahi. The trick is to get in front of that fish in the same direction it is traveling. 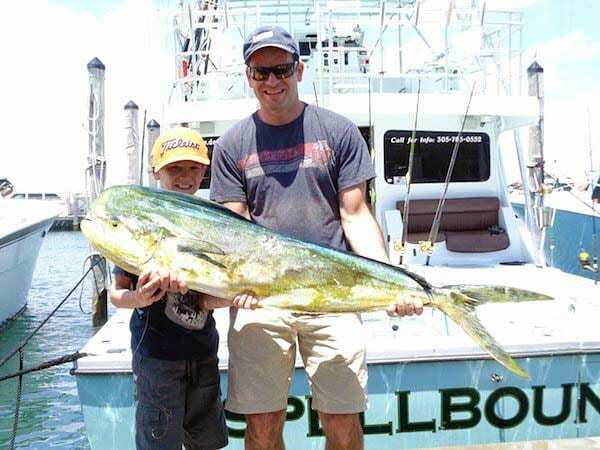 We stop just a head of the big Mahi and pitch a live bait. The bait is chosen by the size of the fish. Typical school fish a small “gem” blue runner or pilchard is best. When we see a Big Dolphin (over 20 pounds) I like to use a larger Blue Runner or Almaco Jack. We catch all of the runners and assorted jacks off shore under “floaters” or sargassum weed. The larger bait will keep a smaller fish from rushing in and stealing the bait away from a large Bull.